It’s not for nothing that Odessa is called the Pearl of the Black Sea. The sea is always there, an integral part of the city; it saturates the air with its salt and moistness, opens its arms for the swimmers from May till September and for yachtsmen in all seasons of the year. There’s a great variety of Odessa restaurants, bars, Odessa nightclubs and other tourist attractions in the coastal zones. If you come here when it is warm you can be sure your rest by the sea will be steaming hot! The most important beach location in Odessa is, without a single doubt, Arcadia. 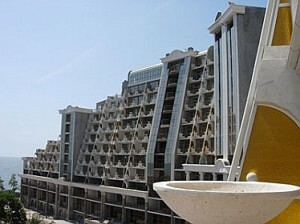 This is a picturesque modern resort area where the bigger part of the famous sanatoriums is situated. Everyone will find something to do here, from small children to retirees. Do you care for live music blending with the background noise of the waves? Would you like to have a coffee marveling at the beautiful scope of blue? Or maybe you’ve been dreaming all your life of taking a water slide and landing right into the playful, affectionate warm waves? Arcadia will satisfy all of your desires with ease! Arcadia is also just the place where you should look for apartments in Odessa. The apartments here are both elegant and cozy, and all of them are very close to the beach which you can reach effortlessly since a natural shallow descent leads you there. You can have the daytime for yourself, leisurely sunbathing or catching a nap at your newly found holiday home. Save the energy for the late evenings when Arcadia turns into the centre of the city’s summer nightlife! The most fashionable, glamorous discos are all here. the cost of a hotel room in the same region. These apartments are furnished and finished with grace, usually featuring metal-plastic windows, laminated flooring, sliding wardrobes, fitted kitchens, all the necessary household appliances and domestic machines, air conditioning and other blessings of civilizations. Apart from the beach, you will also have easy access to supermarkets and parking lots. 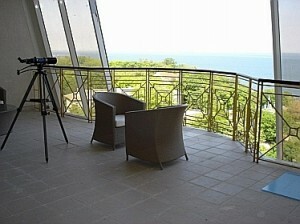 If, however, you want a quieter beach, Odessa will offer you a great deal of other options. Right after Arcadia, there are the Big Fountain sandy beaches that are not as popular, but just as majestic. Here you can ride a water scooter or a motor boat, perhaps even fly a para-glide. Then there is a Golden Shore which you can, in fact, reach from Arcadia by a high-speed powerboat. Living on one beach doesn’t mean forsaking the others! Lustdorf, Luzanovka, Carolino-Bugaz – they are all a-waiting!